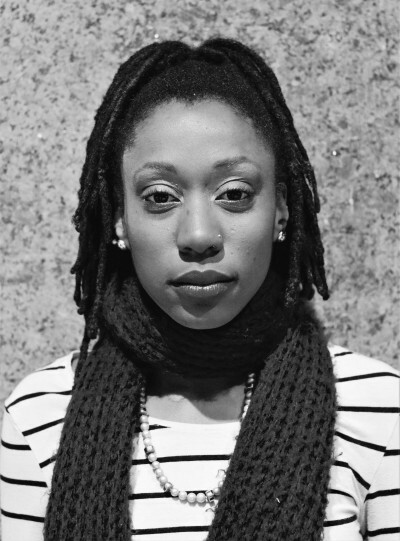 A public health practitioner, Haitian feminist theorist, participatory arts researcher, and alum of SUNY Downstate School of Public Health, I use dance and writing to merge my passion for public heath, global health, and community organizing. My launching pad is built upon the notion that health issues and disparities are not simply a result of poor health management, but also a result of the lack of an integrative perspective of what health improvement actually is. With my movement, I hope to complicate methods of social change and health equity by connecting spiritual balance and self-understanding to modes of recovery and restoration. My studies with Sandra L. Burton in Williams College’s Kusika Dance Company as well as Nia Love, Ronald K. Brown/EVIDENCE, and others, have contributed to a dance practice built around discussion of individual and community wellbeing. In 2016, I founded Kriyol Dance! Collective (KDC) to incite the unapologetic voices of Black arts, and Haitian culture in particular, through collaborative and unified work and intervention. As members of KDC, artists create original work focused on the preservation of Black diasporic culture and Haitian culture, and on the promotion of Haitian life through artistic work that involves community voices, community issues, and the Haitian state of affairs. Artist-leaders work to develop innovative, multi-pronged approaches to using art as a tool for commentary as opposed to simply entertainment. Importantly, KDC hopes to make normative discussions of Haitian culture that do more than harp on the Haiti’s richness. We aim to continuously place the focus on discussion of Haitian lives both in-country and abroad. Dance is an essential tool for how I develop, advance, and uplift communities across varying cultural backgrounds and belief systems. It is what connects me to HCX as a Haitian creative, critical thinker, advocate, scholar, former Lakou NOU resident, and now as the new Programs Coordinator. Working on the HCX team, I bring all this with me, applying my skills, vision, and practice to an organization dedicated to cross-cultural, cross-sectoral, and interdisciplinary exchange and to the preservation of Haiti’s cultural heritage in Brooklyn, my hometown. This entry was posted on Tuesday, October 10th, 2017 at 3:25 pm	and is filed under Archive, Uncategorized. You can follow any responses to this entry through the RSS 2.0 feed. You can leave a response, or trackback from your own site.